When I quit my job last fall to pursue The Patterned Peacock full time, Surtex was a big part of my decision. 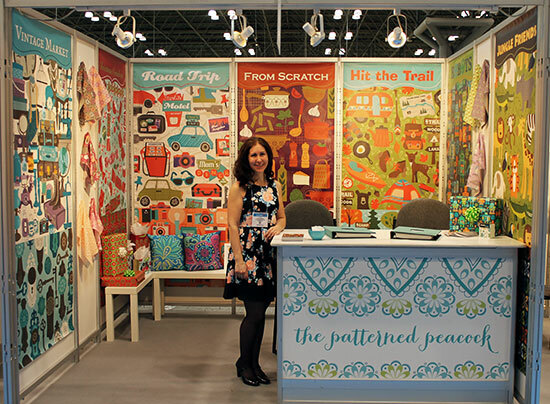 Surtex takes place every May at the Javits Convention Center in New York City. 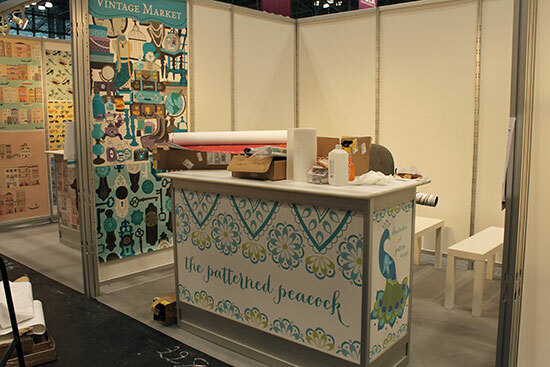 It’s a trade show for illustrators and surface pattern designs to exhibit their artwork in the hopes that a company will want to buy or license something. 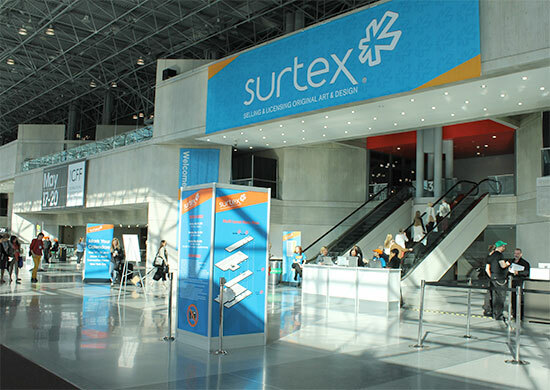 Unlike craft shows, Surtex is not open to the general public. The attendees are art directors and buyers from companies that make anything from stationery to home textiles to kid’s products. I was accepted into the show in September and immediately started preparing for it. Creating a portfolio of work was my biggest concern (most artists at Surtex have a portfolio containing hundreds of images). But I also had to plan my booth design, a marketing campaign, and all of my promotional materials. My cousin (who is a designer) and my boyfriend (who has a surprisingly artistic eye) volunteered to help me with set up and I am so grateful for that help. 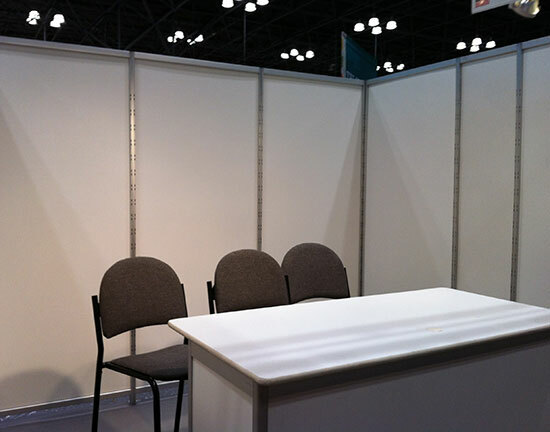 Exhibiting at a trade show is a huge undertaking and having a support team really does make all the difference. Prior to exhibiting, I made a list of goals for myself. I was able to achieve all three goals and, for me, that made the show a success. 1. Learn about the needs of the industry. What type of art are the looking for? How do they want it presented? How do companies work with artists? Do they license art or buy it outright? 2. Find out which industries and specific companies are interested in my work. Once I know where I fit in, I will be better able to market myself in the future. 3. Connect with art directors and get permission to contact them in the future. 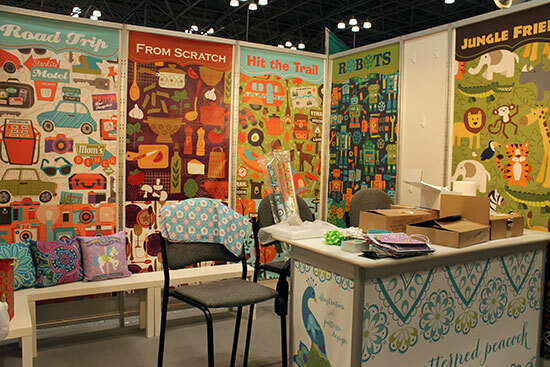 At many trade shows, the attendees are there to place orders but Surtex works differently. If an art director likes what they see, they’ll give you their business card and let you know how they would like you to follow up with them. The actual deals take place weeks or months down the road. So while I don’t know if anything will pan out for me, I do know that I came home with a notebook stuffed with business cards and instructions for next steps. Because I'm shy and have a hard time making small talk, selling myself in person was the most daunting part of the process. If you feel the same way, I highly recommend Women Make the Best Salesmen. Other sales books I read were "power of positive thinking" fluff or had a "take charge of the sales process" approach that was too aggressive. But this amazing book focuses on how to build connections with potential customers in a way that's genuine and low key but effective. If anyone has questions about trade shows or Surtex feel free to email me. My contact information can be found here. Hey Dana good for you - exhibiting at a trade show is a HUGE step - I am impressed, and thanks for the info about the show - hope you get commissions - or whatever it is that you end up with from this. Thanks so much! I'm glad you enjoyed the post. Your booth looks AMAZING! I love how it even looks like you dressed to match it! Just downloaded a sample of that book to my Kindle - I have a hard time with selling (and HATE the hard sell) and could definitely use some strategies!